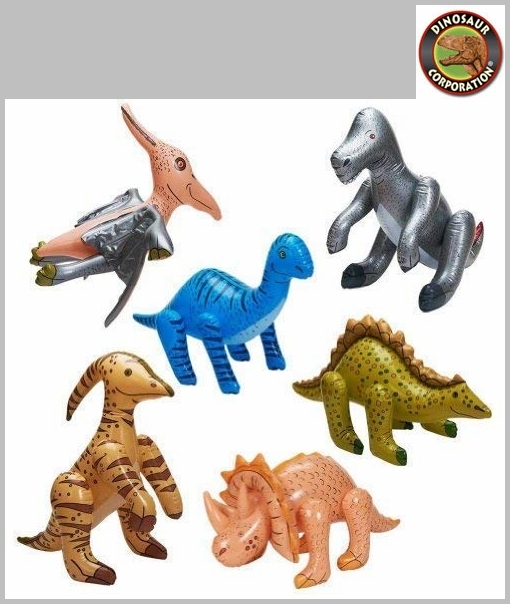 Inflatable Dinosaurs! Great for indoor and outdoor activity! 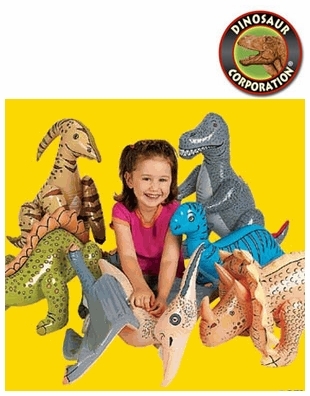 Give your child's dinosaur party some prehistoric feeling with our inflatable dinosaurs. 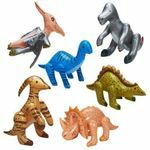 Inflatable dinosaurs are realistic looking in assorted styles Triceratops, Brontosaurus, Tyrannosaurs Rex, Pterodactyl, Parasaurolophus, and Stegosaurus. Nice to take photos with your dinosaur friends at your Jurassic Dinosaur party.